If I had to choose one group of sexist stereotypes that I hate more than others (take your pick, right? ), it would have to be the ones surrounding women in music. Even the independent music business—which you’d think would be more evolved—doesn’t always know what to do with a lady artist who doesn’t fit neatly into the “girl with acoustic guitar,” “angry feminist” or “sultry singer” boxes (apparently you just file under “sounds like Sleater-Kinney” and move on). As women working in the music industry, my friends Anna, Jenny and I became disillusioned with this attitude and created Girl Germs, a radio show that airs on the University of Minnesota’s Radio K. We wanted to create a space for talented female artists who have been overlooked or written off—maybe because they’ve broken new ground, created art on their own terms, produced or distributed their music D.I.Y. style or simply challenged the connections we often take for granted between femininity, sexuality and style. This playlist is a sampling of what you’ll hear on Girl Germs: groundbreaking women playing and singing everything from ‘60s yéyé to modern Italo Disco to 1930s-era Appalachian folk music to L.A. synth-pop, all selected on the premise that supporting women’s creativity is itself an act of solidarity. 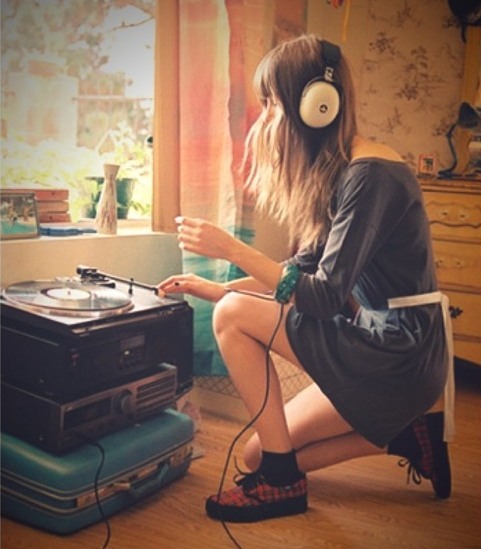 Plus, you know, there’s the simple fact that these beats are the JAM and these women all have serious style. I hope you’ll make this playlist your new soundtrack to getting pumped about your own creative pursuits. Enjoy! Girl Germs airs Tuesday nights from 9-11 p.m. on 100.7, 106.5 and 104.5 FM in the Twin Cities and online at radiok.org. To check out playlists, listen to past shows and read more about female artists, visit our blog, and find us on Facebook and follow us Twitter. And, if you’re free tomorrow, cruise on down to the Red Stag Supperclub for a screening of “My So-Called Life” that we’re hosting, too. Details here. This entry was posted in Uncategorized and tagged dana raidt, girl germs, music, playlist, radio k, soundtrack by highplainsthrifter. Bookmark the permalink.